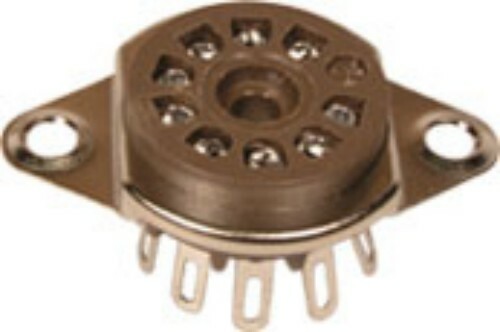 9 pin B9A Belton VT9-ST-2 is a very high quality Micalex valve socket for chassis mounting. The Belton bases are made from micalex which is a plastic mica filled base which is heat resistant. Micalex is an insulating material which allows high voltage operation. These are the choice of many high end amplifier manufactures. This is ideal replacement in all vintage and modern amplifiers that use 9 pin miniature B9A types such as ECC81, ECC82, ECC83 as well as output valves such as EL84 Etc.